We’re excited to announce that our next children’s gift book, out in 2015, is SUPERHERO themed! 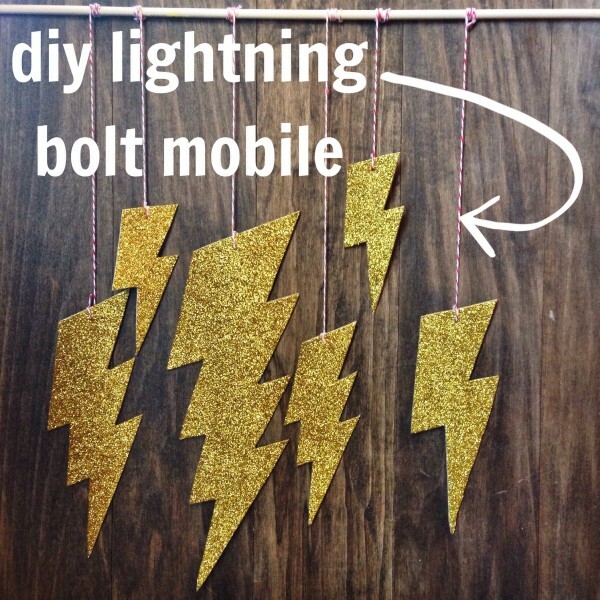 Till then, expect to see a lot of superhero themed crafts pop up on the blog like this DIY Lightning Bolt Mobile! 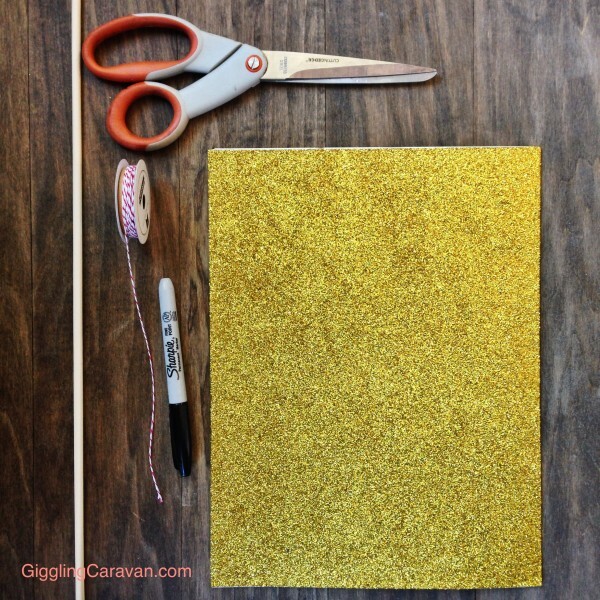 What you need: Scissors, string, marker, wooden stick, and a gold glitter foam sheet. 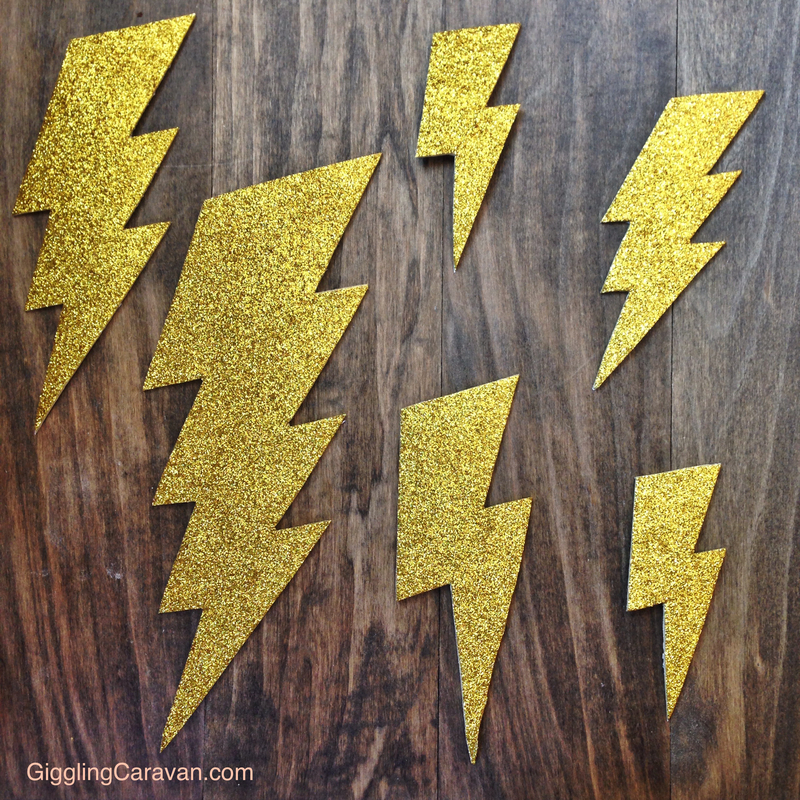 Free hand or trace lightning bolts to the back of your gold glitter foam sheet. 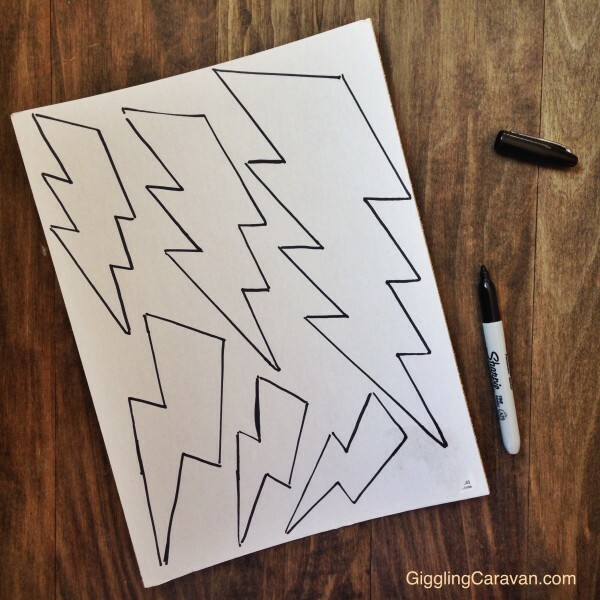 Remember to draw the mirror image of the lightning bolts. (See image above.) Cut each lightening bolt out. Create a small hole about a centimeter from the top of each lightening bolt. Thread string though the hole, and knot. 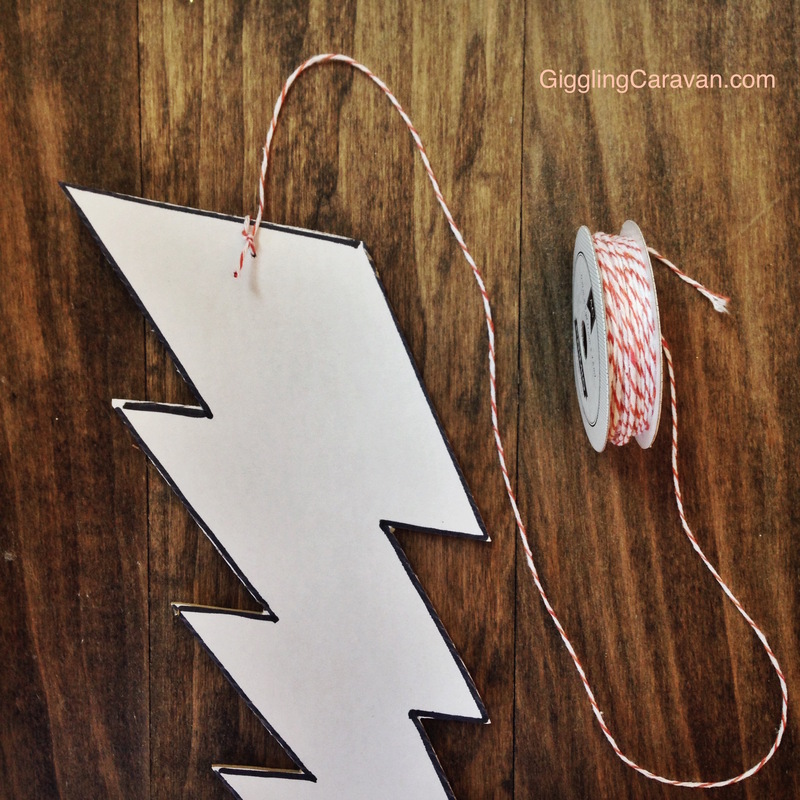 You can create a backside of the lightening bolts by cutting out a second sheet, and sticking the backs of the bolts together. 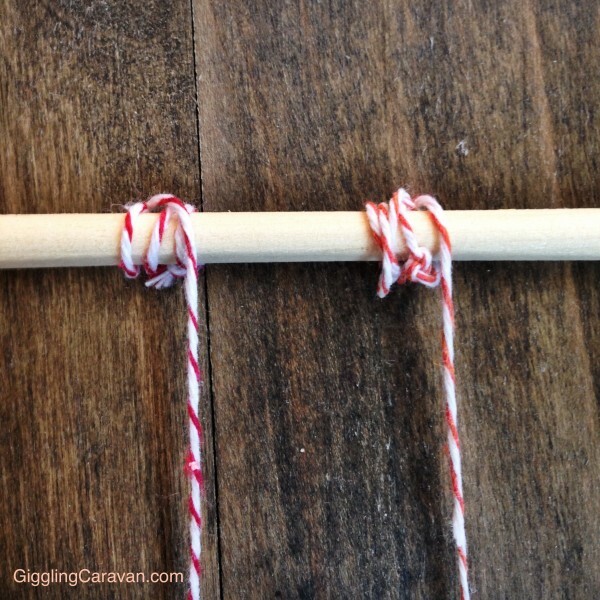 Arrange the lightning bolts however you prefer, and tie the other side of the string to the wooden stick. 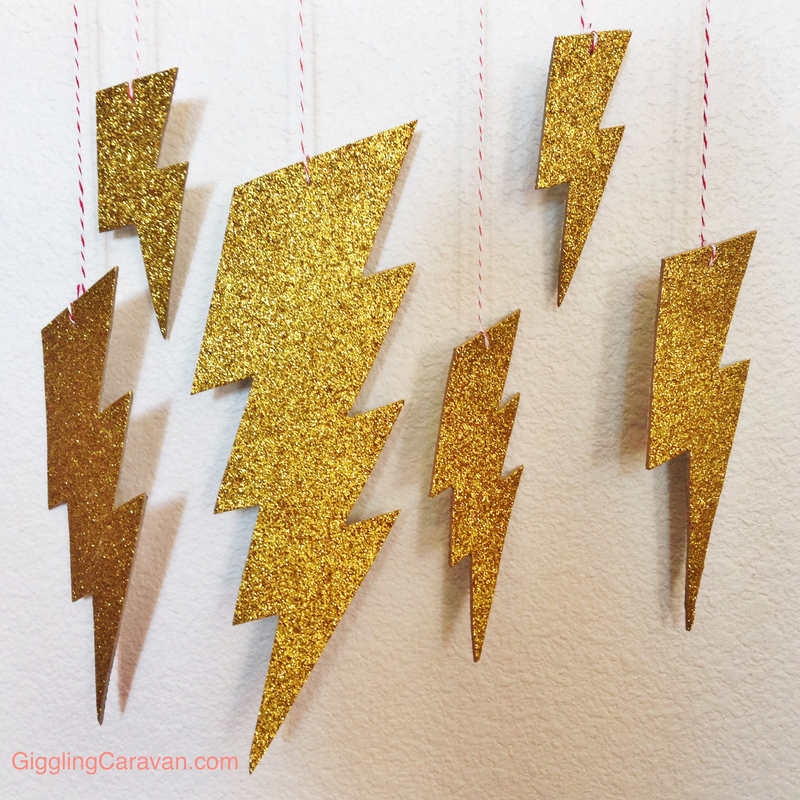 Hang your glittery gold lightning bolt mobile wherever that little superhero in your life can be inspired. We’ll have more info about our Superhero themed gift-book for you soon! Check back for more superhero themed crafts! Happy Tuesday from the Giggling Caravan Team! Copyright © 2014 Giggling Caravan.